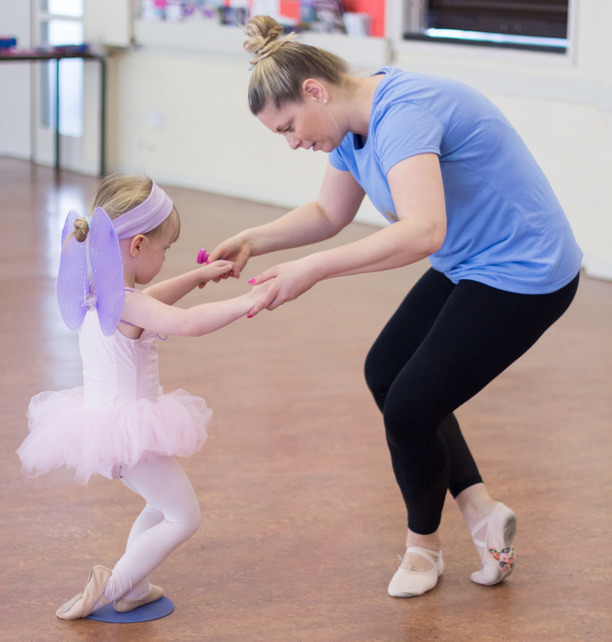 All the teachers at Stepping Stones school of dance are DBS checked and first aid trained. Miss Steph has been dancing since the age of 2 with the Bristol School of Dancing and showed an early love for the art. She was a member of the Bristol Youth Ballet company as a teenager and performed many roles in theatres around the area. She then continued full time training at the Bristol College of Dance and at 18 won a scholarship to train professionally for 3 years at the prestigious Doreen Bird College of Performing Arts. Following dance school Miss Steph landed a role working for Disneyland Paris! What was initially a 6 month contract turned into an 18 month contract, Miss Steph was a dancer in the parades and was lucky enough to play characters such as Cinderella, Belle and Ariel, and even ice skated in Mickeys Winter Wonderland ice show. Miss Steph has had a varied career and danced at La Nouvelle Eve Paris where she learnt to Can Can, several casino shows in different parts of Portugal and Slovenia. MIss Steph's love of travel finally got the better of her and she decided it was time to audition for cruise ships, she then went on to work for Classic International Cruises and Saga Cruises travelling all over the world and was even lucky enough to do 2 world cruises. Steph is now married with a son, Joshua and is enjoying passing on all that she has learnt to the next generation of dancers. Can’t thank Becky enough for the fabulous party she hosted for my daughters 4th birthday, all the children had an amazing time and were truly worn out by the end of it, which the parents were thrilled about!